In a scene from one of my favorite Hallmark movies, “The Christmas Shepard”, the two main characters fall in love while mixing homemade hot chocolate – a.k.a. cocoa – in a country kitchen. Sally, played by Teri Polo, grates blocks of dark chocolate while Mark, played by Martin Cummins, uses an exotic gadget to blend the resulting cocoa powder. A romance sparks. Although I am not quite that dedicated when it comes to brewing up this cold weather delectable, I have been told I make a “delicious”, “best ever” hot chocolate. As much as I would like to take credit for having a magic touch when it comes to serving the ‘best ever’ homemade hot chocolate, the truth of it is – it’s rather easy and perfect to try today on National Cocoa Day. 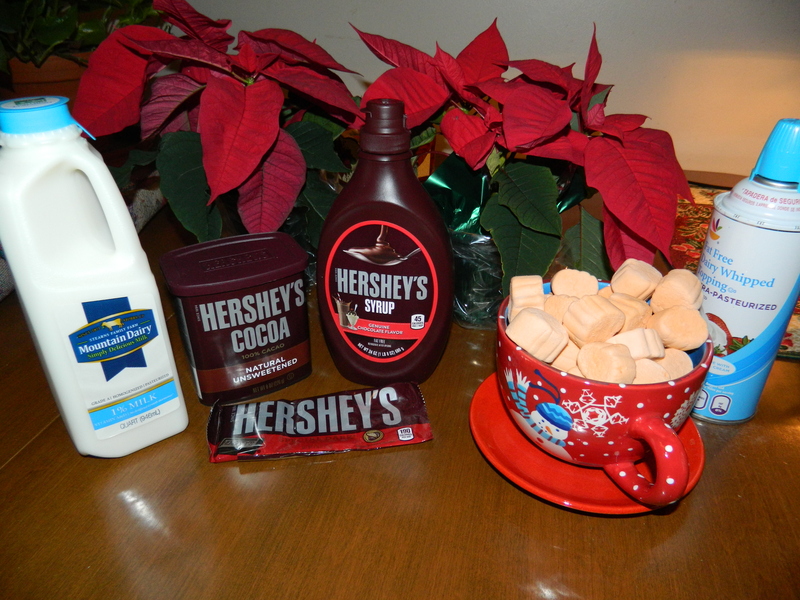 ‘Best Ever’ hot chocolate starts with the best ingredients. That includes Mountain Dairy Milk produced by the Stearns Family Farm in Storrs, Connecticut – I use 1 percent white milk. Some people like to make “cocoa” with Hersey’s Cocoa natural unsweetened powder and add sugar. I prefer pouring into a mug two tablespoons of Hershey’s Syrup per one and a half cups of milk. Keeping a close eye on the large sauce pan while heating the milk on the stove, when steam rises I know it’s ready. 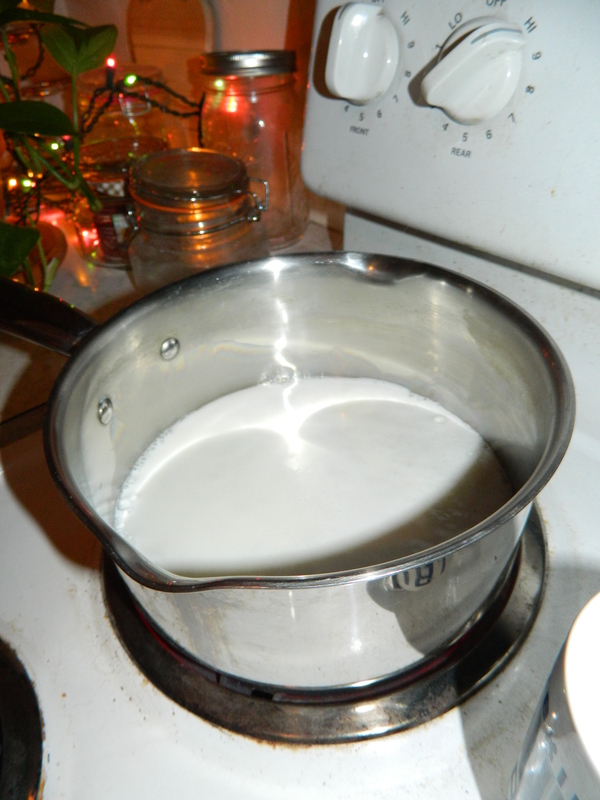 Be sure not to scorch the milk because that will alter the flavor. Stir continuously while gradually pouring the heated milk into a mug. Next comes a big decision. Will it be marshmallows or whipped cream on top? 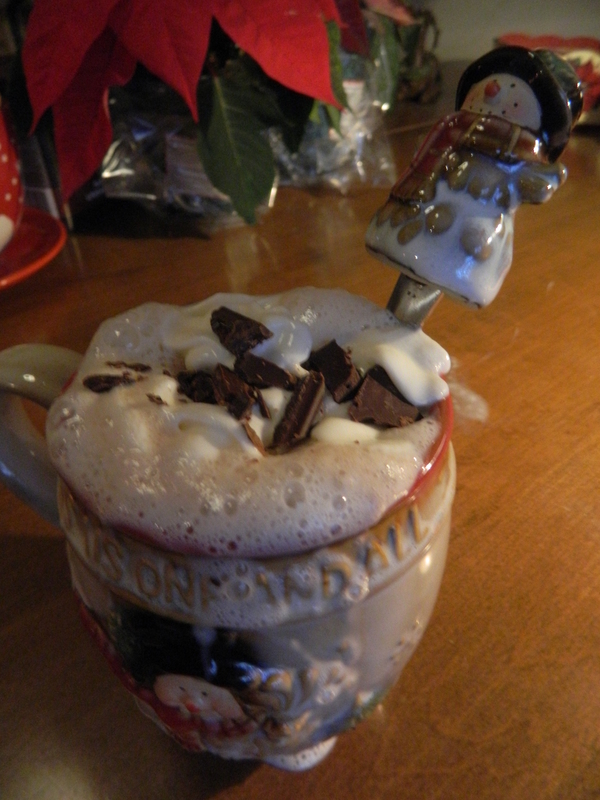 Here I used fat free whipped cream then sprinkled it with shaved pieces of Hershey’s Special Dark Chocolate. Allow a couple minutes for the drink to cool down before sipping. Voila! So easy. ‘Best Ever’ Hot chocolate is a great way to warm up on a cold almost winter day.